Ruth, a corporate executive at a welfare home organisation, Nora, an executive in the sustainability field and infocomm executive in education, Rini, share two things in common amongst themselves: (1) they are strangers to one another and (2) all of them have attended one of PAUSE Magazine’s PAUSE Sessions, with PAUSE Guide, Elaine Ho. 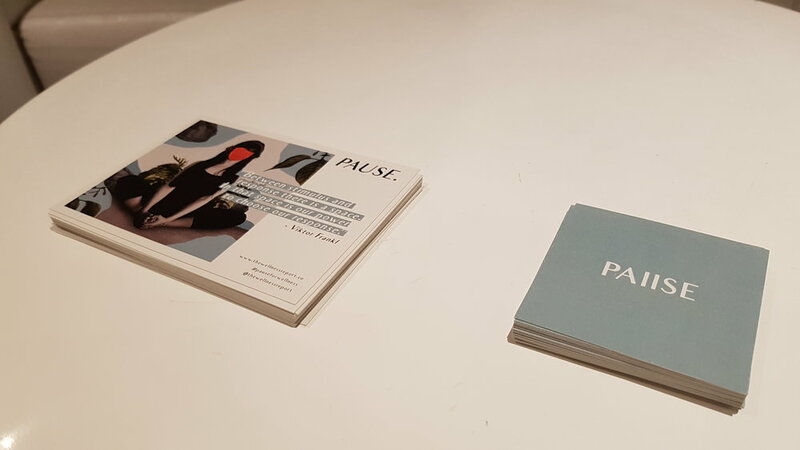 The PAUSE Sessions are an offline initiative by PAUSE Magazine that was re-launched just a few weeks ago in October 2017, within the cosy basement of The Co. on High Street. Am I right to say that you are all generally new to meditation? How about the concept of ‘slowing down’– do you subscribe to it and would you see it as part of or separate from meditation? Yes, I'm new to meditation. I feel that they are similar but not exactly the same because to me, meditation is more about reflecting and thinking deeply about one thing on your mind, whereas slowing down is about thinking about several things slowly, in succession? [Laughing Emoji] Hopefully, that makes sense. I'm new to meditation as well, and as for the concept of slowing down– I must admit that I have not given much thought to it before. I think both concepts refocus my attention on the present. Which is necessary for our minds and soul to rest and recharge. I’ve learned a lot about slowing down through The Wellness Report (TWR)–which is what PAUSE Magazine was initially called before the relaunch–over the last two years or so. It has helped me to gradually expose myself to the idea of slowing down and being in the present, so in that department, I have some experience. But in terms of meditation, I’d still consider myself a newbie. What spurred you to take an interest in exploring meditative practices? I wanted to understand 'wellness' as a general concept and it's restorative value better. It's a term that's thrown around a fair bit these days and I was pleasantly surprised to find The Wellness Report online with its lifestyle-focused content on mindfulness and meditation–and I guess that’s how I ended up at a PAUSE Session! It's the magazine's Founder, Ferina, whom I know personally as a friend–I’ve been supporting her from the start! Because of TWR, I got started on reading about wellness and caring more about it–eventually, it led to me being avidly interested in mental health and how meditation and slowing down is crucial to maintaining a healthy mind. For me, it was my therapist/counsellor whom I consulted a while ago for my anxiety–she motivated me to take an active role in learning more about wellness and meditation. How did you feel about the crowd that gathered with you, at your respective PAUSE Sessions? I found that it was a pleasant and intimate affair. 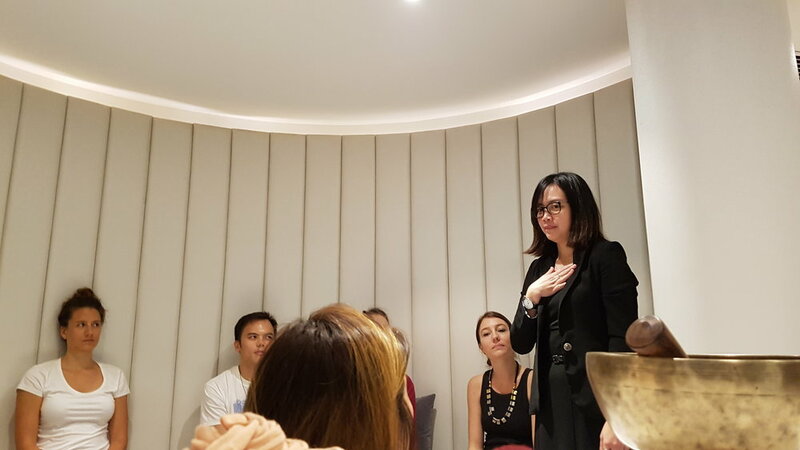 During the sharing, I noticed that everyone has different view or approach to meditation. The way each of us felt, thought and imagined–no two people view it the same way, and yet coming together to pause seemed very natural to me. Everyone present at my Session had a different background, but we were all similar in our intent to practice mindfulness and explore something that you would categorise as 'not so understood'. I agree with Nora and Ruth –everyone had a different view but still shared the same mindset: everyone was there to pause. Did you have prior expectations before coming to the PAUSE Session? No, not at all. I didn’t expect anything; I was really there to give myself the opportunity and room to explore and learn. Yes, me too–I came with an open mind and heart. [Thumbs-Up Emoji] To be honest, we did want to bring a few but wasn’t sure how many people would turn up and whether everyone would have enough personal space in the venue– but either way that’s a great suggestion. We’ll definitely bring a few to our future PAUSE Sessions! After a long workday, it was good and refreshing to have the chance to simply rest and centre some attention on me [Smiling Face with Halo Emoji]. For me, it was my first time in a guided-PAUSE setting, so I did find it quite difficult to fully relax among a group of strangers. Despite this, I found myself feeling a lot less… constipated after the Session! [Smiling Face with Horns Emoji] I was pleasantly surprised–I suppose I had been rather stressed that week and pausing with the group that evening probably helped to me to ‘loosen up’ [Laughing-Crying Emoji x 3]. It was also my first encounter with the concept of a 'group pause' led by a coach. The session brought me to a place of relaxation; I felt refreshed after the class. Would you be open to attending another Session and/or bring along a friend who might also be interested? Yes, we’d all definitely love to bring a friend along to a Session. In your opinion, are there other ways of taking a conscious ‘pause’ (ie. other than meditation)? I agree. And yes, I am sure there's a myriad of potential ways to pause. I think Ferina once made a pun which I appreciate a lot: 'the pausebilities are endless'! There may be other ways to pause and slow down, but meditation, to me, seems like the best gateway to our inner-selves. What other pause methods would you consider trying? Not too sure about other existing methods out there, but we would be open to learning more about them and perhaps then consider exploring some of them [Smiling Emoji]. What do you hope to see in future PAUSE Sessions / PAUSE Magazine initiatives? We like the Sessions as they are–I think for us, we’d like to see more articles on the online portal. We would also be supportive of more active knowledge sharing among PAUSE Circle members when that picks up. Note: These interviews have been edited, combined and condensed for clarity and flow. A PAUSE can be anything which brings you back to the essence of yourself. A bit woo-woo sounding, we know – but we call it the 'magic'. There's also magic in a community of like-minded individuals who share a common belief in life with #pause – experience it with us in the PAUSE Circle.